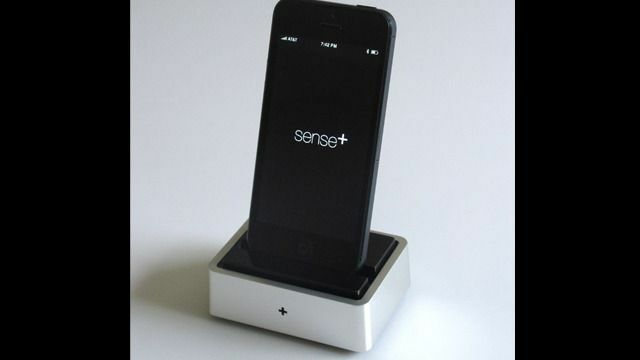 Tonic Product Design has created the Sense+ app, which, in tandem with their (presently in prototype) dock can alert you right over your iPhone to high carbon monoxide and the presence of smoke. If the app gets no response from the alarm, then it can automatically dial predetermined numbers to call for help, or provide further prompts. The dock features plug-in power, can draw power from your iPhone’s Lightning connector, plus it has a battery backup. There is a USB port to attach it to other devices. Native Android and Windows Phone compatible models of the dock and app are reported to be forthcoming. This would be fantastic for traveling, as it can charge your mobile device and give you local protection that you might not get otherwise. Imagine having one installed in the patient compartment of your ambulance or squad, letting you know if exhaust is causing a safety hazard for you, your crew, and your patient(s). Imagine staying at a motel, where smoke alarms may exist, but it is unlikely that you’ll have a carbon monoxide detector. Imagine staying at a friend’s or family member’s house and having more complete detection. The manufacturers recognize it won’t be the best detection since it will sit on a flat surface like a desk or night stand instead of being mounted to the ceiling, but it is a step in the right direction. Maybe the next step will be to have a wireless remote monitor to augment this dock that can be attached to a ceiling with something like a 3M Command Strip? Great device, but how long can it last on those back up batteries? I’m working with the manufacturer to get a demo unit and test it. I’ll post a follow-up article when I’ve had a chance to play with it. I’ll make sure to evaluate the battery life. Thanks!